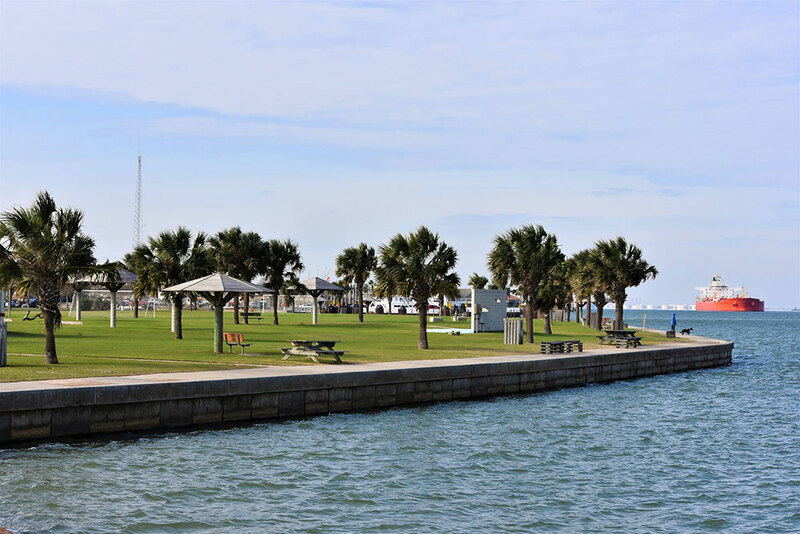 Spanning the waterfront, the 50-acre Roberts Point Park is located off the ferry landing in Port Aransas. The park offers live music and a variety of free activities for the whole family. Kick back to hear some of the best original music along the Gulf Coast. Enjoy live music at the monthly Sunset Sounds in the Patsy Jones Amphitheater. Each concert, held on the second Friday of the month from April-October, is free and open to the public. The park also has excellent fishing opportunities along the granite jetties and from the lighted fishing pier. Ascend the observation tower overlooking the ship channel, where visitors often spot dolphins. Roberts Point Park rents its three City Marina Pavilions for private parties: the Main Pavilion, which can hold more than 400 people; the Small Pavilion for up to 40 people; and the Floating Pavilion. For prices and more information on rentals, visit the city of Port Aransas website. Roberts Point Park is located at 301 J.C. Barr Blvd. in Port Aransas. For events held at Roberts Point Park throughout the year, check out 101corpuschristi.com/events. You can click on the “Add to My Calendar” button or “Forward to Friends” to begin planning your next great time in the Coastal Bend.